Easter week is a special time of celebration for Christians. We remember the days leading up to the crucifixion of Christ, and we celebrate His resurrection from the dead. In fact, Resurrection Sunday is our highest holy day: it is the greatest event in history, and it is our greatest reason for joy. For each day of the Passion Week, I would like to share with you some thoughts that we can apply to our marriages. I will include Palm Sunday through Wednesday in today’s post, and I will send Thursday through Resurrection Sunday next week. 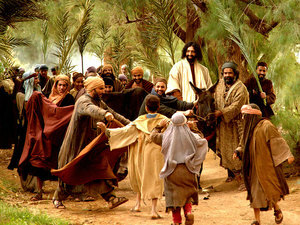 Sunday is the day we call Palm Sunday, the day of the Triumphal Entry. Christ rode into Jerusalem as the gentle King, and the people welcomed Him with praise. Prayer: LORD, I welcome You to this marriage. I lay branches of adoration before You. I spread garments of praise to welcome You. I lay myself before You in worship. Thank You for being the gentle King who comes to us, to be Immanuel to us, to be the God who is with us. I ask you to reign with gentleness over our home. We need Your wisdom to guide us and Your peace to govern us. Action: How can I offer affirming words to my spouse? How can I be a welcoming presence to my spouse? I receive my spouse today as a gift from God. 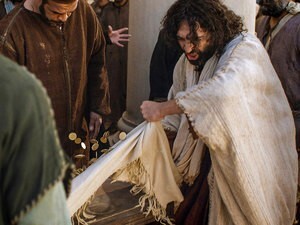 On Monday, Christ cleansed the Temple in Jerusalem. Prayer: LORD, I pray that my marriage will be a dwelling place for You, a kind of temple for You. We need Your cleansing. Please reveal to me where I have brought defilement or impurity to my marriage. Help me to turn from it. Show me my part in cleansing our marriage. Action: How have I “robbed” my spouse? Have I withheld from my spouse affection, loyalty, respect, or support? How have I bartered when I should have given freely? With lavish love, Mary anointed Jesus with expensive perfume. Prayer: LORD, I want to pour out to You my full obedience to You in this marriage. I pray that this offering of myself would be like a sweet aroma to You. I pray, too, that the Presence of Your love in my life would be like a pleasing fragrance to my spouse. Action: How can I anoint my spouse with honor today? I want to say to my spouse, “I choose you!” How can I show lavish love today? Prayer: LORD, thank You for the places of rest that You give in the midst of our busyness and chaos. I pray that You would open my eyes to the need for “quiet streams” in my marriage. Help me to let go of “rushing” so that our spirits can rest; help me to let go of “pushing” so that You can prepare us for what You know is ahead of us. Action: I want to be still, and know that He is God. 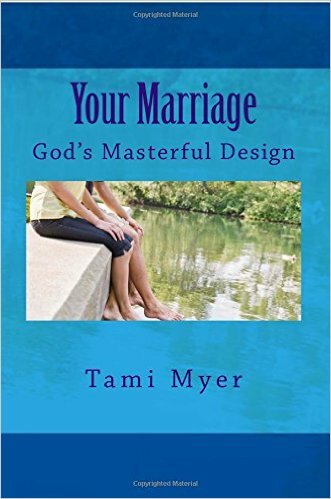 How can I build needed rest into my marriage? Where does my spouse need renewal?